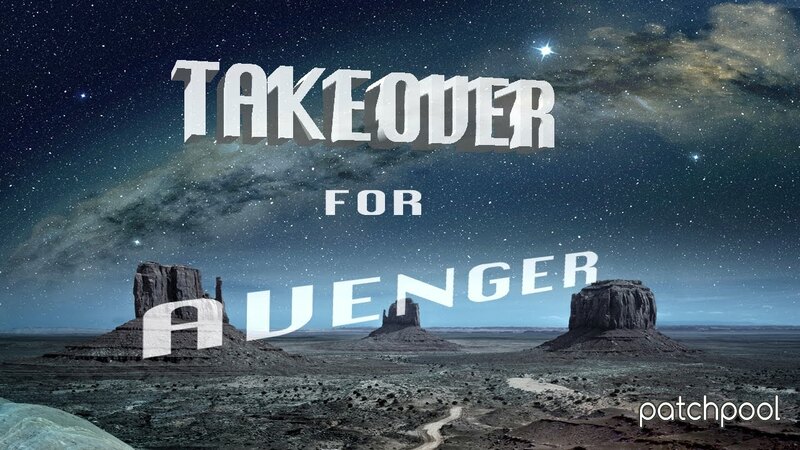 Takeover 2.0 for Vengeance Avenger is an expanded version of my fist Avenger library released in February 2017, expanded in 2019 making use of several features which weren't present in the first version of Avenger (granular synthesis, cross-FM, tuned comb-filter). *Monumental, epic, dramatic soundscapes with a cinematic flavor. *Heartwarming, fragile, lush, elevating pads. *Ethereal, fascinating and otherworldly textures. *Expressive lead synths and juicy bass sounds. *Beautiful string instruments (guitars, plucked piano, cello derivatives). *Epic brass swells (horns, trombones, sousaphone). *Drum/percussion sounds for the drum sampler, dry and processed. *Playful, edgy and minimal sequences. *Evolving, rhythmical, often tempo-synced animations of timbre, amplitude and filters. * 132 patches (including 8 variations). * 92 wavetables, also derived from the re-synthesis function in Avenger. *83 sample maps (multi-samples) and one-shots (44.1 Khz - 24 Bit), 2+ GB (before lossless compression in Avenger). * 13 single cycle waveforms (shapes). * Library size in total: 953.3 MB (936 MB download). *All patches have the modulation wheel and the three Macros assigned, most also use Macro switches, many also use aftertouch. *Comes in the native avenger format, easy import/installation. All demos below (many more coming very soon) were produced entirely with Avenger using only patches from Takeover, no post-processing was applied apart from a limiter on the outputs and some volume automation, if several instances of Avenger were used in a track. Last edited by Sampleconstruct; 04-12-2019, 10:28 AM. Jamming with a bass patch from Takeover, some modwheel and Macro action. Demo for a nice bell patch from Takeover combining various processed sampled bells (multisamples in oscillator 1) and FM synthesis - some Macro and modwheel automation. Improvising with an animated drone sound from Takeover, some Macro automation was added in a second pass. Here comes a fresh Avenger patch from Takeover, using a wavetable derived from a bowed acoustic guitar in OSC1 and an FFT sound in OSC2. 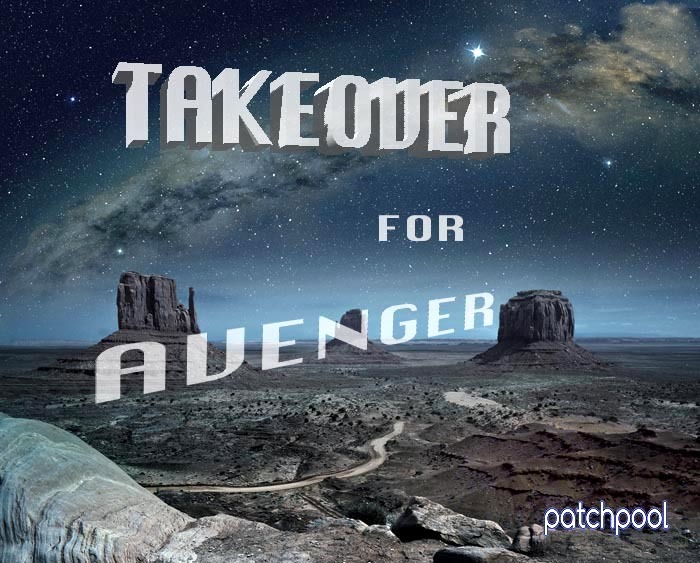 Three fresh Avenger patches from the Takeover in a slightly epic electronic nostalgic whatever demo track. Drama, Drama - Improvising with the patch Singing Bowl Abyss, some Macro automation in a second pass, a limiter on the master output - 3 velocity layers of processed singing bowl meets a synth oscillator using a re-synthesized singing bowl wavetable. Improvising with a synth sound from Takeover, some Macro/Macro switch/modwheel automation, a limiter on the master output. Improvising with a drone-sacpe from Takeover which mixes gong samples played with a rubber ball and wavetable synths (resampled rubber gongs) - 3 different layered gong-synth couples split across the keyboard, FM synthesis/waveshaper distortion/filter modulation can be applied to the samples with Macros - massive and dark...I sampled quite a few different types of rubberball gongs (my large windgong played with different ball sizes) over the weekend so there will be some more patches of this kind. Improvising with an abstract soundscape from Takeover, some Macro /aftertouch/modwheel automation. Demo featuring two fresh Avenger pads in this demo, some Macro/modwheel/aftertouch/volume automation and a limiter on the master output. Demo for a hybrid patch (multi-sampled flageolet nylon guitar/pluck synth) from Takeover, some Macro automation towards the end (FM) and modwheel for occasional vibrato. Velocity modulates numerous things making this a very expressive and organic sound. Three Macros and 2 switches are assigned. Slightly jazzy electronic instrumental track featuring two patches from Takeover, some Macro/modwheel automation and a limiter on the master output.